Flyhawk have released a photoetch upgrade for serious ship modelers in 1/350 scale, a set of portholes of multiple types. Part 1: 440 round portholes of 14" or 16" diameter. Part 2: 460 round portholes of 12"-14" diameter. The parts are very small, but for the scale detail is very good and clear. The etch sheet is very thin brass and should allow the parts to be cut out with little effort. The instructions are printed on a single page or paper, both sides, with line drawings showing placement of the parts. The instructions are color coded with blue to show those parts that are to be folded, although the only parts that actually appear to need folding are parts 8, which are doubled over. There should be enough parts here to adequately cover any WWII US Navy modelling subject. Handling of the tiny parts, and removal of any burrs will be challenging, but a set like this is intended for experienced modelers. It should make a very nice addition to any model build. Highs: A very handy set of portholes with good detail present. Lows: Lots of very tiny parts. 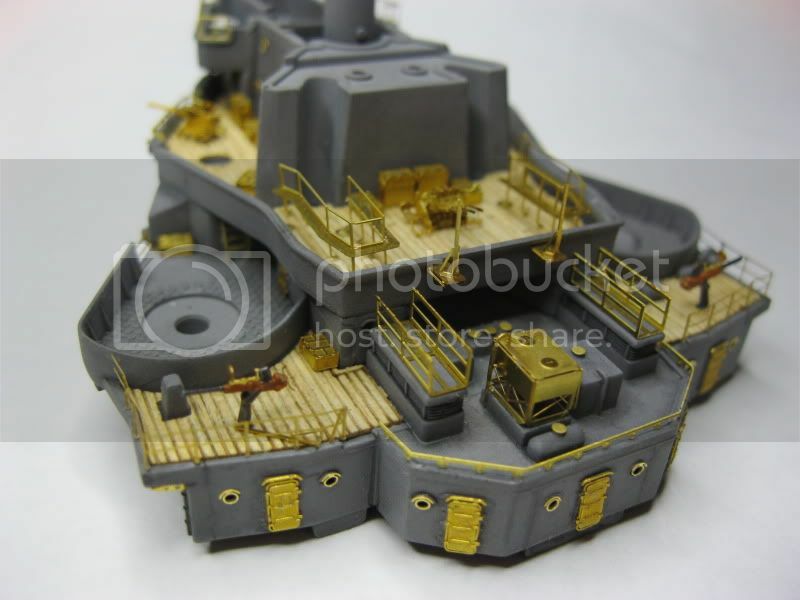 Verdict: This set will add a lot of detail to any US Navy WWII ship build. Our Thanks to Flyhawk Model! Fred, thanks for getting this up. Sorry I missed it before. Tim, thanks for the image. You do very nice work.